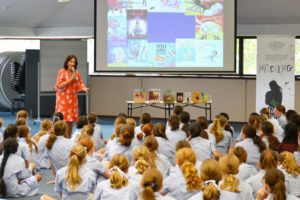 Sharing my love of books and passion for writing with groups of children is always a great delight for me. There are few things I enjoy more! 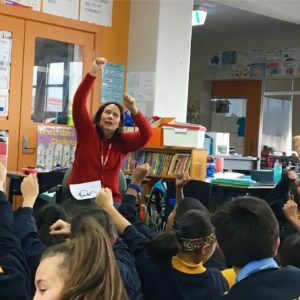 I started my working life as a primary school teacher with a special interest in literacy education and children’s literature, and have been a speaker, storyteller and workshop leader, presenting at schools, libraries, state and national conferences and festivals for more than fifteen years. 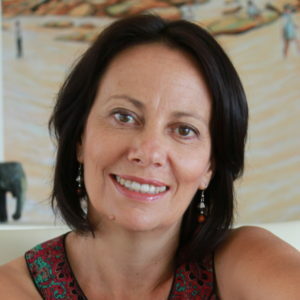 I also teach writing for The Australian Writers’ Centre. I do my utmost to make sure my presentations are engaging, dramatic and humorous, and involve much audience participation. 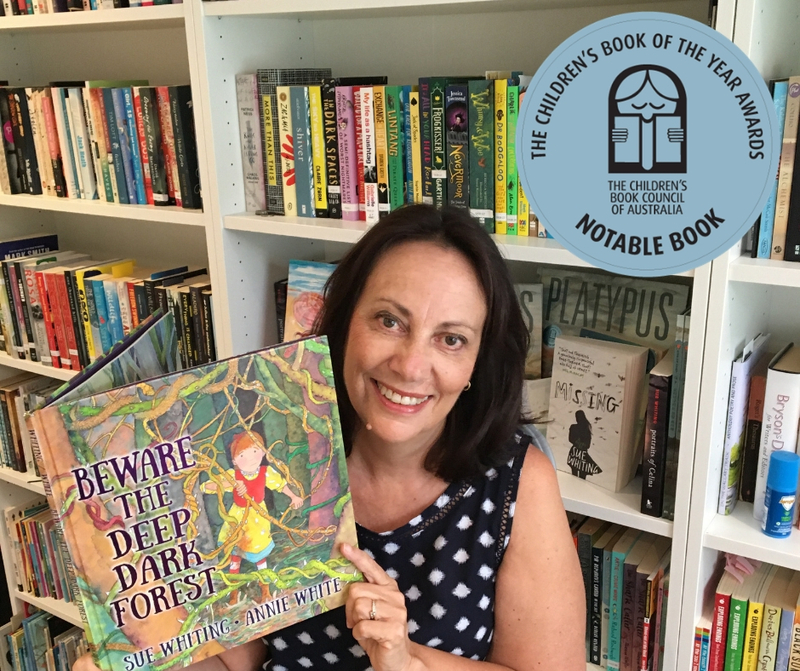 And, as I write books across a variety of genres and for a variety of age groups – toddlers to teens – I am comfortable working with all ages: toddlers to adults and everything in between. 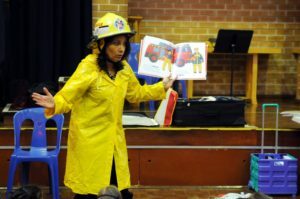 “Sue’s fabulous story telling immediately captures the attention of students, both young and older. 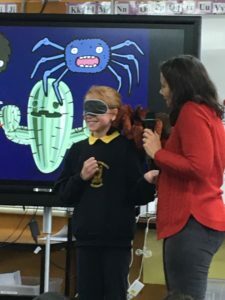 Our younger students can’t wait for our very own copy of Sue’s latest tale and our older students have continued to test their geographical knowledge after taking the Panama challenge. 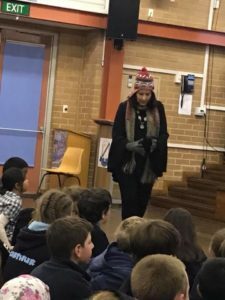 “It was a pleasure to have Sue Whiting attend Westfields Sports High School to celebrate Book Week 2018. 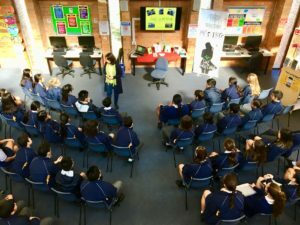 Sharing her passion for writing had students and teachers captivated, allowing them into her world of make believe, truth and inspiration. 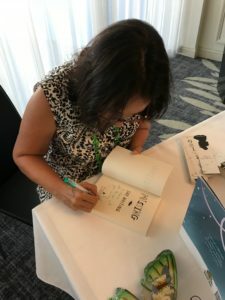 She spoke of her daily routines linked to her writing and the processes involved in being published, to never give up and reminding us that anyone can be a writer! 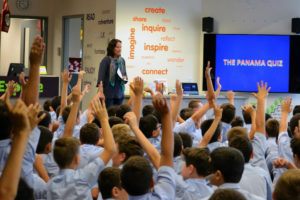 Her easy and approachable style made for great participation, and many students engaged in Q&A and a select group took part her in her now infamous Panama Quiz! We had some great feedback from the students who attended and hopefully inspired many great writers. “We all felt very excited about having you and you exceeded our expectations! All the staff spoke highly of your visit also. The Library team were impressed with the vibe, the way you engaged all the students and had them in your hand! 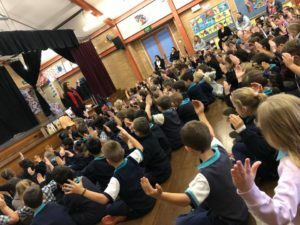 We loved the variety of your presentations, from the engaging storytelling, to the dress ups, to having students share ideas and be part of the presentation. The students have all recounted fondly stories from the sessions and especially loved hearing your new book! Thank you for the planning, organisation and enthusiasm, which were so evident. I have already begun recommending you to my Teacher Librarian friends!